Which are the best ways to sell your annuity? After years of hard work, paying bills and investing during your retirement may be a tough stage in life. In fact, if you are not wise, retirement can lead you into a depression since you do not have any source of income or anywhere to invest. Even after retirement, the bills will keep coming and they may even increase. Annuities are a financial product that is sold to individuals by insurance companies. They act an individual’s retirement investment fund and saving. The money set aside may increase each year and is paid without including taxes. In the future, you get their non-taxable money paid to you, which means you’ll have more money to meet your financial needs. There are four different types of annuities that you should know about. Immediate annuity: This is the easiest and most common form of annuity. It comes with very basic and easily understood provisions. In the typical scenario, an individual pays a lump-sum cash amount to the insurer upfront. In exchange, the insurer has to send money to the individual starting immediately. One can have the annuity sent for a fixed period of time or for as long as they are alive. Deferred income annuity: These type of annuities do not start making payment right away. In this type of annuity, you pay a certain amount, then the insurer promises to give you a certain amount of money once you reach a certain age or after you retire. Once your retirement is final, the annuity offers you supplemental income which is of higher value when you retire. Fixed annuity: Here, the value increases based on the returns stated in the annuity contract. However, here you choose when and if you will receive the payment from the annuity payment from the insurer. Interest rates in this type of annuity are also higher. Variable annuity: The returns to- be paid, are tied to a certain market. It gives you exposure to a great deal of markets and still gives you the annuities security. Fees can however be expensive. 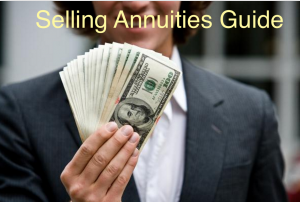 Partial selling of your annuity means that you are selling certain amount, specified by you. In this arrangement, you will receive the amount you have sold in cash. You will then not receive any annuity payments for a short period of time. After this period, you will continue receiving the annuities as you did before. With full payments, you will not receive any amount of payment from your annuity after you have sold them. However, you will receive a huge amount of money which is usually great when you need a huge amount of money all at once. Choose a company: The first step to selling annuity payments is to identify a company that you want to sell your annuities to. Choosing the company will require you to know how much money you are expecting and how much the company will charge you for the services they are offering you. Paper work: After going to the company and ensuring they are as fair as you thought, you will be required to fill out a number of questions. Agreement: You will have to agree on the terms of payment with the company you will be selling your annuities to. If you agree, you contract will be sent to your insurer for verification. This may take several weeks to be processed, however once it is done, you will receive your cash payout almost immediately. There are several reasons why an individual may choose get funds by going for selling annuity payments. Unplanned circumstances: The most common reason why people choose to sell out their annuities is because there was an unexpected situation that arose. For instance if you find a business that you can start that will bring you more money than your annuity is paying you, you may opt to cash out. People also cash out to pay for medical expenses and other bills for themselves or loved ones. Inheritance: If you are the beneficiary to an annuity payment, you may opt to cash out in order to have the money to boost your business or make certain financial decisions in your life easy. This mostly happens when the beneficiary has not attained their retirement age. Mortgages are one of the largest monthly expenses that most people spend money on, and involve a commitment to pay X amount of money over a long period of time, often as long as three decades. It can be either, depending on your circumstances. Now we’ll take a look at a couple of examples to illustrate the difference between a mortgage that’s good debt and a mortgage that’s bad debt. Sara has saved up $60,000 cash and is debating whether or not she ought to avoid taking on a mortgage and just continue to rent a house, or if she ought to buy one. She plans on living in the same home for at least 20 years — all of her family is in this town, there are lots of jobs, and she loves the area. In other words, if she buys, she’ll be holding onto the property for the long term, which makes it very likely that her home would be worth more than what she paid for it by the time she’s ready to consider selling. She’s currently paying $1850 per month to rent a house. Utilities are not included. For the purposes of our example, Sara’s property taxes are expected to be $3000 per year, which averages out to $250/month. So now we’re looking at a total of about $1840 per month in housing expenses if she buys a house (i.e. $1140 mortgage payment + $250 property taxes + $450 maintenance and repairs = $1840). Given this situation, the odds are good that she’s better off buying compared to renting. Aside from the obvious break-even on monthly expenses, the really big advantage of buying is that 20 years from now, she’ll have paid off about $187,000 worth of the purchase price (with $113,000 left to pay off). Assuming that housing prices go up at approximately the rate of inflation (see Appendix, 4% is a decent estimate for average annual inflation), her home will be worth about $657,336 at that time. So if she sells, she’ll pocket about $544,000 before taking into account any realtor commissions or other expenses incurred when selling her home. Whereas if she rented, she’d get nothing. In this case, her mortgage can be considered to be good debt. In fact, it’s a very good debt. The risk is so low and the profit is so large compared to the zero she’d get by renting that buying a home is a no brainer for her. Criteria 1 is met because she’s going to spend the same amount of money on housing whether she buys or rents, and she’ll end up making money if she sells 20 years from now as planned. Criteria 2 is met because given her numbers and the fact that she plans on holding onto the property for 20 years she has high odds of making a profit compared to renting (because it’s highly unlikely that her property will be worth less than what she paid for it when she sells). Criteria 3 is met because she can afford to lose the money. If a freak calamity (ex. natural disaster for which insurance won’t cover her) happened that destroyed her home, she could afford to make the mortgage payments in addition to paying rent on a new place to live. Sure, she’d have to downsize dramatically to pull this off, but she could do it. Jim is currently renting. His job transfers him to a new city every 2-3 years. He hates paying rent and is tempted to buy. So he considers the pros and cons. It turns out that while he can buy a place for the same monthly costs as he’s paying in rent, his odds of making a profit aren’t good enough to make him pull the trigger. This is because he’s in a city with a volatile real estate market where prices have a history of making large swings over short periods of time. In 2013 prices went up by 15%, in 2014 they went up by 5%, and in 2015 they fell by 20%. Who knows what’ll happen this year and next before he’d have to sell. In this case, buying a condo or house doesn’t meet our second criteria for good debt because the risk of losing money if he buys for such a short period of time is too high. If you have a mortgage now, or are thinking of getting one in the future, be sure to run the numbers for yourself and determine whether or not a mortgage meets the criteria for good debt in your situation. We all have a different tolerance for risk. We all have varying incomes. Some people can handle a loss (both financially and emotionally) from buying a home more easily than others. Some people can mitigate any financial risks involved with buying a home (ex. over-budget repairs) by earning more money or cutting expenses. Others can’t. Always calculate the expected expenses and potential profit compared to renting for yourself, weigh the pros and cons of available choices, and make the best decision you can based on your individual financial situation and temperament. Although trailers and mobile homes can be used for housing, they’re not in the same category as a house or condominium when it comes to being an investment. This is because unlike houses and condominiums, trailers and mobile homes tend to decrease in value with time, rather than increase. As far as profit potential goes, it’s comparable to living in a car. The exception is if you buy a cheap one for cash that’s already lost pretty much all of its value. In other words, when you sell, you figure you’ll get all of your money back. If doing so will cost you less than renting, this might be worth it if you want to live really frugally for a few years and save up some cash. Obviously this doesn’t mean that buying a trailer or mobile home is always a bad idea. Just as with anything else, everyone’s circumstances are different and there are always nuances to consider. If buying one of these will save you money and it meets the three criteria for good debt compared to renting, then by all means go for it if it’s what you want to do. But if not, it’s probably best avoided. Assuming you’ve come to the conclusion that a mortgage is likely to be a good debt for you, here are some factors to consider when deciding how much to spend. Because if you over-stretch your finances by taking on mortgage payments that are too high, you’ll struggle more than necessary to pay off your bad debts because too much money will be going towards housing. First, throw out any notion of one-size-fits-all guidelines. Despite claims to the contrary, there aren’t any. For example, it’s commonly said that as long as your debt to income ratio isn’t greater than 43%, you’re doing fine. Sure, if you’re making $150,000 a year, and are reasonably careful with your money, odds are that you can easily afford to spend $64,500 a year (about 43%) of it on a combination of mortgage payments, a car loan, and whatever else you borrowed money for, and still have enough leftover to pay for necessities like food, utility bills, healthcare, and clothing. But that’s not the case for people making lower incomes. Martha bought a condo in good times, and the mortgage payments are $645 a month. Even though she’s a single mom of two kids, it was easy to afford this at the time because she had a decently paying job. But then she got laid off during a downturn in the economy, and the only job she could find now pays a paltry $18,000 per year. In theory, since she has no other debts, she should be just fine, right? But Martha’s not doing fine at all. She only has $855 per month (pre-tax) leftover to cover basic necessities like food, clothing, utilities, and medical expenses — and she’s finding it very difficult to pay for all that for her small family of three. One-size-fits-all plans are flawed. They fail to account for the differences in disposable income between high and low-income earners. Another number that’s tossed around a lot is the 30% rule. This rule originated from the 1969 Brook Amendment to the Housing and Urban Development Act of 1968, which introduced the idea that rent for public housing should be no more than 25% of the family income. In 1981, Congress increased this figure to 30%. Sources say these increases were put into place in the hopes that they’d allow rental property owners to better afford maintenance for their properties. It’s dismaying that the reasoning for the 30% rule had nothing to do with how much the average homeowner could afford, yet it’s commonly used as a guideline for determining exactly that. Even worse, is that this 30% standard is now commonly recommended to home buyers as a one-size-fits-all way of deciding how high of a mortgage payment they can afford. So the next time you come across a one-size-fits-all rule for how much to spend on mortgage payments, look at it with skepticism. For most people, I recommend that you aim to spend LESS than these rules dictate. Spending less will allow you more flexibility with your finances and make it easier to afford a bit of fun in your life. As for how much less you ought to spend, there’s only one way to figure that out. You’ve got to go back to basics. Track your spending and income. Find out how much of your spending is optional and how much of it is for non-negotiable necessities, including savings. Only then will you know how much you can truly afford to spend on a mortgage (or even rent for that matter! ).